Miami-based real estate lender BridgeInvest is pleased to announce that it recently closed a $29.5 million acquisition loan secured by a waterfront condominium in Miami’s highly-coveted Brickell neighborhood. The borrower, Miami Waterfront Ventures LLC—a sub-division of the OKO Group—acquired 60 out of the 61 condominium units at 175 S.E. 25th Road, an 11-story tower, for approximately $48 million. RM Capital Management represented the borrower on the transaction. The borrower has initiated the condominium termination process and expects to acquire the remaining unit within 60-90 days. Miami Waterfront Ventures plans to eventually demolish the existing structure and replace it with a 48-story, ultra-luxury condominium by taking advantage of the site’s current low density and 150 feet of unobstructed waterfront views. This deal marks OKO Group’s third acquisition in Miami. “After speaking to several lenders, we decided to go with a sophisticated group like BridgeInvest based on their proven ability to execute complex transactions under tight deadlines. 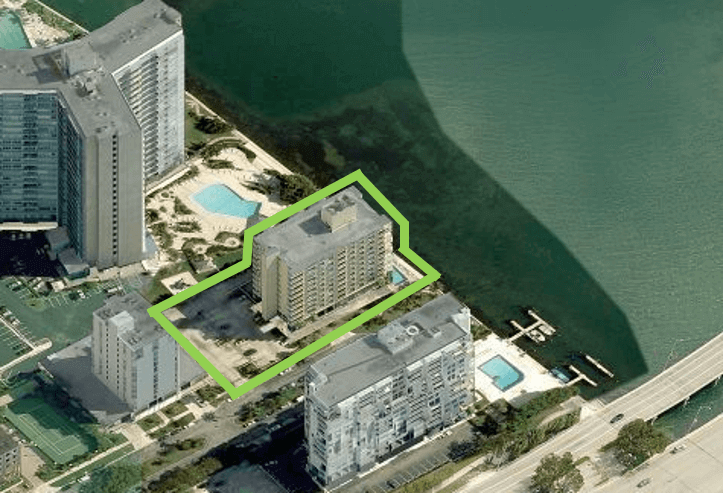 Their flexible structure allowed us to acquire 60 of the 61 units following the time-intensive task of negotiating with each individual purchaser,” said Francis Scola, Manager of Miami Waterfront Ventures. BridgeInvest is proud to work with a world-class developer such as the OKO Group and is confident in the success of this loan due to its conservative loan-to-cost basis, the property’s intrinsic value as a unique development site with spectacular waterfront views and the scarcity of similar product in Brickell.